Flex and Rigid-flex PCB Assembly Services. 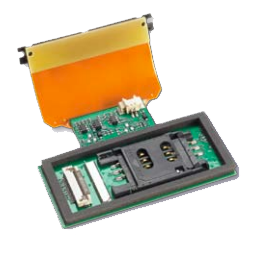 Get your flex circuits manufactured, assembled, & tested from a single source. Looking for a high-quality rigid-flex and flex PCB assembly manufacturer? We provide small to fortune 500 companies from around the world with their component sourcing, PCB manufacturing, assembly, and testing all from a single source. Reduce vendor count, production delays, and improve overall circuit quality with Flex PCB, an industry leading printed circuit board assembly house. We provide both domestic (USA) and international (China) flex and rigid-flex PCB assembly services at cost-effective prices. Get to market faster, at a higher ROI when you partner with Flex PCB. Let us earn your PCB business today by sending us your Gerber files and/or specifications for your next project. 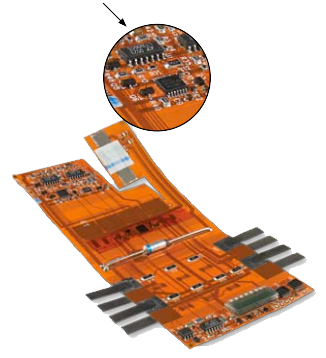 Surface Mount Technology (SMT) assembly: Components are mounted directly onto the surface of the flex or rigid-flex circuit. 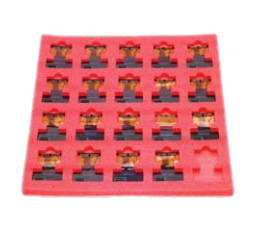 This method has largely replaced the traditional assembly method, through-hole. Through hole assembly: Components are connected by soldering wire leads into holes in the circuit. This method is usually done by hand. Finding and managing multiple BOMs can quickly turn into a nightmare. Instantly get rid of your headaches when you let us manage your component sourcing, tracking, and purchasing. With our years of flex circuit experience, we will be able to find your company those hard to find components all at the best deals and lead times. As a leading flex PCB supplier, we have a streamlined process and friendly team of PCB experts that will take the stress and complexity out of your next flex and/or rigid-flex circuit assembly project. That is why hobbyist, engineers, and design shops choose us for as their main flex PCB assembly company. Let us become your flex and rigid-flex PCB assembler today. Contact us via email or through our toll-free number to learn more about our services. Looking for a PCB assembly company that specializes in rigid boards? Look no further. Our friends over at Quick Turn PCB Assembly can help you out with any type of electronic assembly service you throw at them. They provide fast turns at very competitive pricing. They have the latest equipment and the experience that other contract manufacturers just don't have. As you can tell, we highly recommend them, so contact them today to talk about your next project and please let them know that we sent you. Cost-effective domestic and international rigid-flex and flex PCB assembly services.